Cummings Termite & Pest Control is dedicated to providing permanent solutions when it comes to pest control. Scottsdale is home to variety of pests and rodents, and our professionals know how to handle all of them. Whether you have a small-scale residential job or your business is in need of commercial termite control, Scottsdale residents and business owners can feel confident about putting their job in our hands. 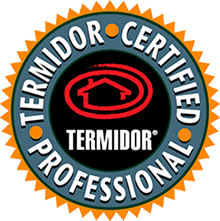 We have been the preeminent Pest control Scottsdale experts since 1972. When it comes to scorpion control, Scottsdale residents are faced with uniquely high pressure of these invasive pests. The technicians at Cummings have over 40 years of experience in this area, and we’re able to provide our customers with the highest standard of service when it comes to pest control and removal. Pest removal isn’t the kind of thing you want to keep putting off until a later date. When it comes to issues like bee removal, Scottsdale residents and business owners will want a quick response to ensure their family members, customers, and/or employees aren’t affected by the problem. We’ll always provide you with prompt, reliable service and our office staff is available to answer your questions in the meantime. So whether you are in need of basic pest removal or you need something more invasive like rodent control, Scottsdale residents and business owners just like you are getting the solutions they need from Cummings. We invite you to contact us today at 480-994-9599 to get started eliminating your pest-related problem!